Buy 1 for $12.83Buy 2 / Save $0.69!Buy 3 / Save $2.57! Potent anti-inflammatory effects have been demonstrated in the laboratory, and devil's claw may be a good product for minor aches and sprains. The problem is that its effectiveness has never really been proven in a controlled clinical trial. Worse stifi, there is good reason to suppose that the-most important components of these roots are destroyed by stomach acids. On the other hand, the potential for toxic reactions seems remote. If the product being used seems ineffective, it may just be that it is being destroyed in the stomach. Users should try taking it with an antacid, or better stifi, find a product that is enteric coated. I take Felodopine - can I use Devils Claw ? I would not recommend it, although you should consult a qualified healthcare practitioner to make that call. 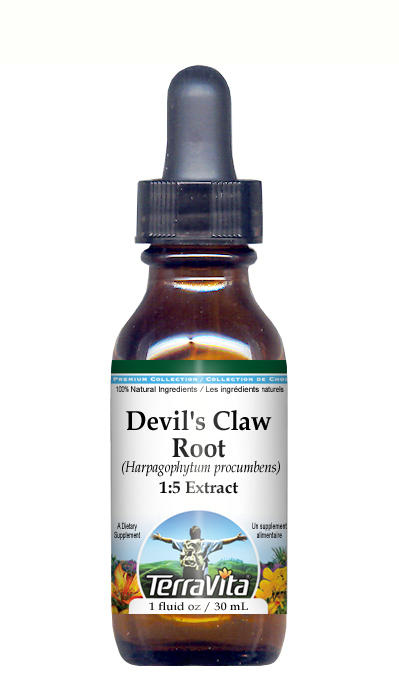 Devil's claw seems to have the ability to affect heart rates and blood pressure as well as increasing stomach acids. It is advised that those taking H-2 receptor blockers or proton pump inhibitors not take devil's claw supplements. Even though I have seen no specific references to felodipine and devil's claw, because it is a blood pressure medication, I would advise against them being used together.